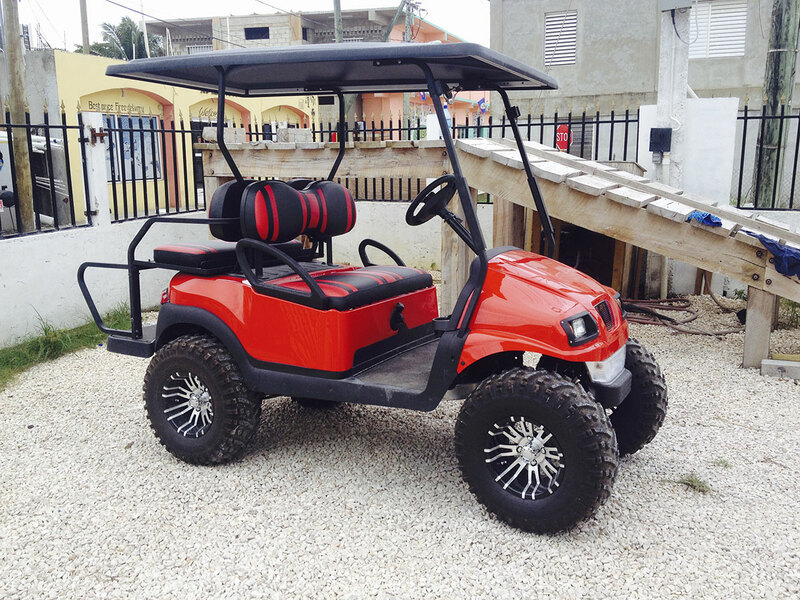 Captain Shark’s is the authorized Club Car Distributor for the country of Belize. We are proud to offer the full line of New and used vehicles and we also carry a large inventory of parts and accessories. All new vehicles come with a factory warranty. 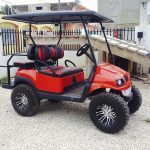 Club Car introduces newly designed Carryall line of vehicles with an Electronic Fuel Injection and overhead cam Subaru Engine which is more fuel efficient yet gives increased power. It’s the total package. 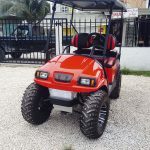 Club Car Precedent’s best-in-class overhead cam electronic fuel injection delivers more horsepower, higher efficiency and lower maintenance costs. 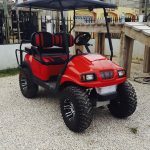 Marry that to Club Car’s legendary build quality and reliability, plus available Visage™ golfer amenities, and the answer is clear. Only Precedent can drive your operation to greater success. 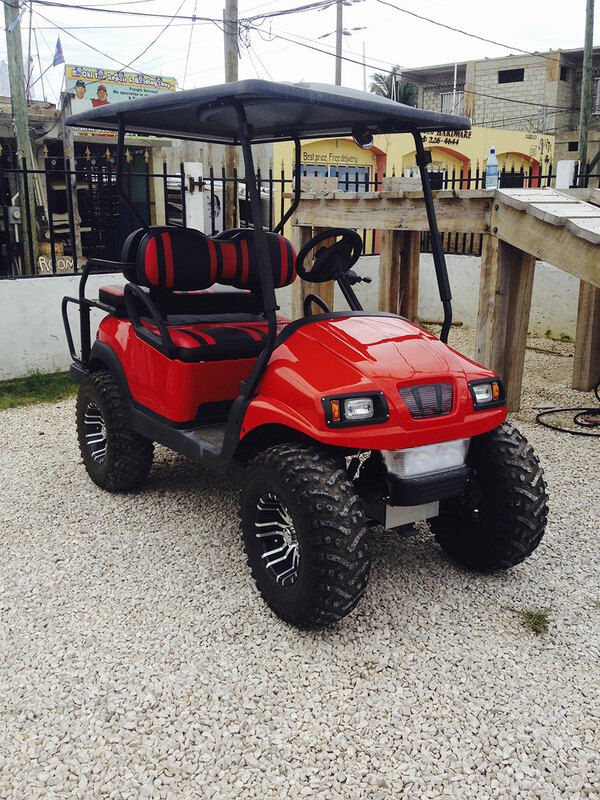 Fuel Economy: Club Car chose the Subaru EX40 EFI engine for its best-in-class power and reliability. Precedent EFI enjoys a 35% power boost over our previous gas engine while using 35% less fuel. Click on any of the links to view information on the cart. Custom Phantom Front Body now available at Captain Sharks. 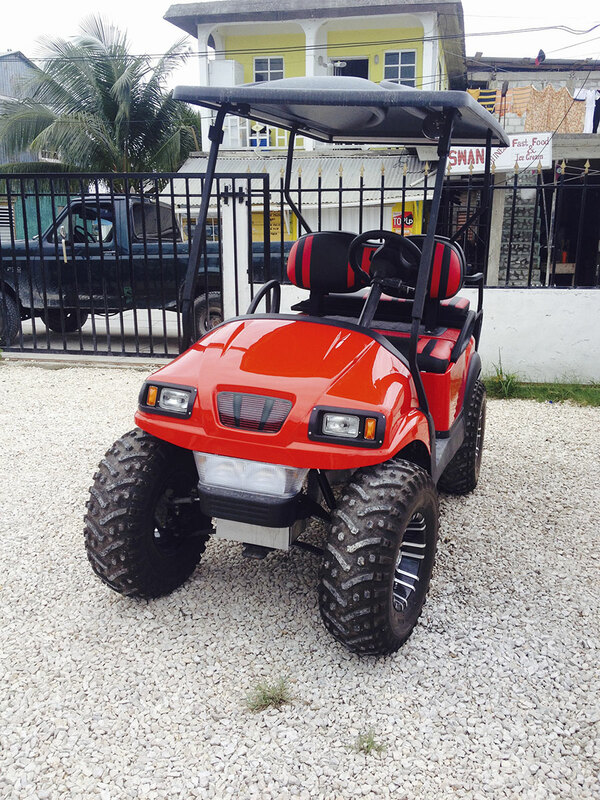 It is front body conversion for Precedent golf carts to give it a sleek look.